Do you ever think about your breath? Do you ever stop even to notice it? Is it deep or shallow, fast or slow, are you breathing into your tummy or just your chest? Does it matter? Well, yes. Breathing is one of the only functions of your brainstem that has both automatic and manual controls, you cannot directly control what your kidneys, hearth or liver are up to just by thinking, but you can with your breathing. The breath is your channel into your body. The deeper and fuller the breath the better. We are born breathing deeply, if you ever see a baby sleep you can see their whole bodies fill with air as they breathe in and their tummy expands. As kids we continue breathing deeply and freely as we play with seemingly relentless energy, helped by our bodies being filled with oxygen. It is only as we grow older and encounter stress that we can lose this connection, apply our conscious “brake” to this deep, full breathing – and encounter adverse consequences. By being conscious of your breath, you can impact mood, emotion, the running of the body and therefore your health. Restricting oxygen intake with shallow breathing, for example, is damaging for the body and mind. It can cause headaches as the brain is restricted of oxygen and can cause lack of concentration, it can also lead to stress and anxiety by impacting mood and emotions. This in turn can lead people to seek other ways to be stimulated, for example by drinking coffee and eating sugar, causing a constant swing of ups and downs. Shallow breathing is common in today’s world, some of us restrict our breathing occasionally, in some cases it can be the way we breathe day in day out. In many cases it is a result of a stressed and anxious mind or it could indeed cause you to be stressed or anxious. The way we feel will dictate our breath, but the way we “decide” to breathe can also dictate the way we feel, it can work both ways. The correlation between breath, the state of mind and body is nothing new. This is a fundamental focus of yoga, but more recently scientific research has started showing how breathing properly (fully and deeply) can help with various conditions like stress, digestive problems and high blood pressure. When I started practicing yoga I was amazed and surprised to find out how beneficial something as simple as breathing actually is. At the start of my yoga journey it is fair to say that I was a stressful and anxious person living a fast paced hectic life, I wanted to run faster, lift more weights, spin faster, and jump higher. The more and more I got into yoga and the breathing, the calmer and more grounded (and maybe saner) person I became, it fundamentally changed me. The people who know me post-yoga think I am quite relaxed which I am sure some of my ex-colleagues from my pre-yoga days would not agree with. I also found it helpful when it came to other types of exercise, like running. In 2010 I did an ultramarathon and I am convinced that a conscious approach to breathing throughout the race helped me keep calm, my heart rate down and my body in check enabling me to finish in a good time – even after falling down a volcano at the 35km mark. There is nothing like the feeling you have after a yoga practice. After you have worked the body and breath. 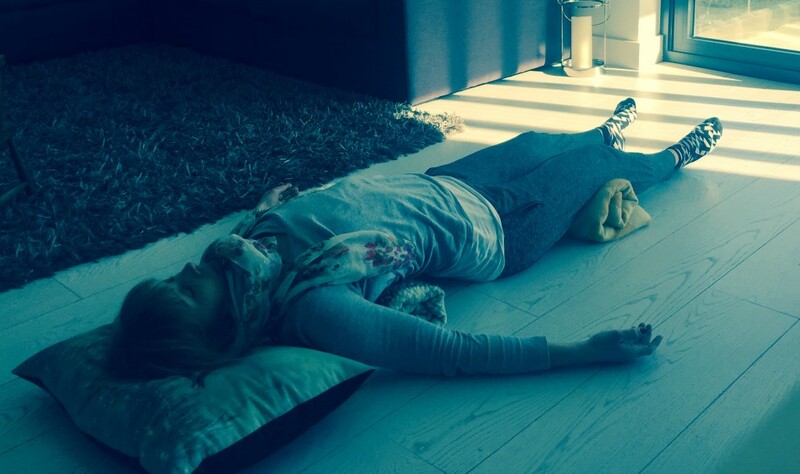 As you work through the asanas you make space for the breath and as you lie in savasana you can feel your body filling up with energy but at the same time you feel completely relaxed. If you are interested in reading more about breathing I can thoroughly recommend “The Breathing Book” by Donna Farhi. Which I used as source for this blog. According to yoga philosophy, it’s the flexibility of the spine, not the number of years that determine your age. The spine gives structure, movement and support to the body and protects the spinal cord that connects the brain to the rest of the body and the nerves that branch out to all the other parts of the body. The spine is the junction box for the nervous system, it controls and coordinates all bodily functions. Hence, if we want a healthy life we need a fully functioning spine. Sounds simple enough, but how do we do that? By keeping our spine flexible and strengthening the muscles around it, like our core muscles. Yoga is brilliant in delivering this. Many types of exercise are good at strengthening the core but not many also help keep the spine flexible and the back strong. To keep the spine flexible we need to move it around in all directions. Not just forward which we are all pretty good at, hunching forward over our computer, hunching forward over our iPhones on the tube, hunching forward doing a jog at the weekend. This is only one movement, we need to arch it back, opening our chest and upper spine, we need to twist it and we need to stretch it from side to side. 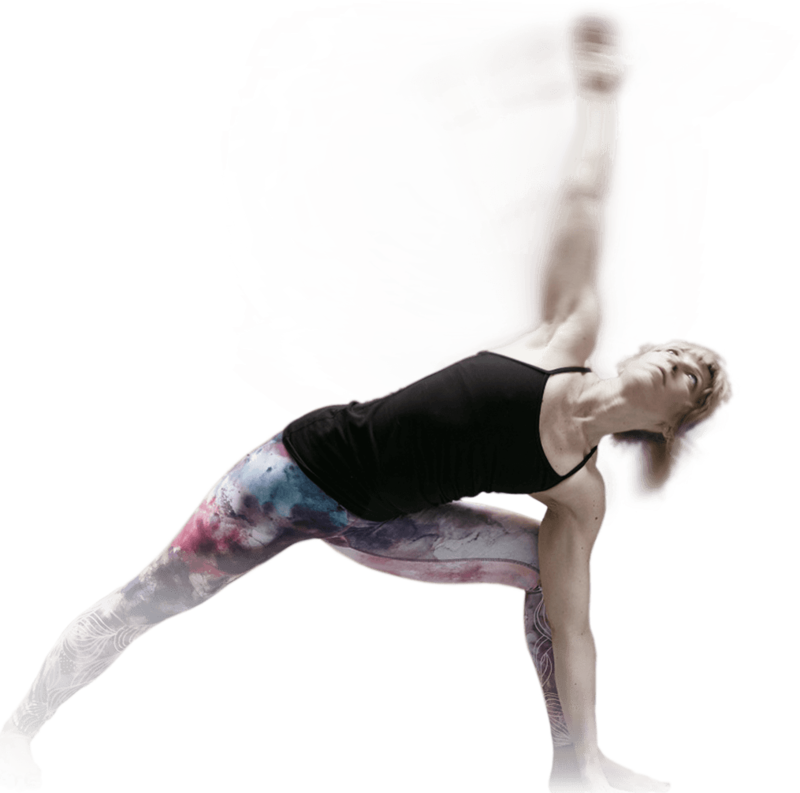 Bending backwards can be especially challenging, we store emotion in our chest and we naturally protect the area, but backbending is essential to spinal health. The good news is that there are plenty of gentle backbends out there that can be helpful. There is no need to hold a full wheel with one leg in the air, like you did as a kid (see picture) to get the benefits you need. In fact, there is a nice easy supported back bend you can do. You just need 2-3 rolled up blankets or towels. Place a rolled up blanket or a towel under slightly bent knees. Place another folded blanket or a towel or even a pillow behind you, as you lie back make sure you position the support so the lower edge is just in line with the start of your ribcage. Then finally, place a nice towel or a blanket to support your head and neck. With arms by your side and eyes closed just relax and breath, effortless comfortable breath using only your nose. Stay for 5-10 minutes. This can work magic. As a kid you probably played around going upside. Most kid swill attempt some variation of a shoulder-stand at some point and for good reason, it feels good and it’s fun. Go to a wall with plenty of free space. Sit down with your side to the wall and bend your knees. Then slowly rotate your upper body down, lying down the floor, and your legs up in the air using the wall as support. This way will help get the hips close to the wall, which can be a struggle if you lie straight down and try to move your hips towards wall. Stay for 5 – 10 minutes, close your eyes, bring your arms by your side (palms facing the the ceiling) and breathe calmly with your nose.